This FREE e-course consists of five: 15-90 minute video lectures, and one introductory video. Rev. 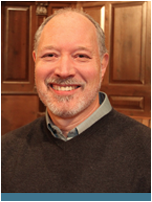 Dr. Mark Rayburn Patterson is lead/teaching pastor at Community Presbyterian Church in Ventura, CA and chair member of the ECO Theology Task Force. Click the button to enroll in this course.